Melo Group closed on a construction loan for Miami Plaza, a 36-story tower in Miami’s Arts & Entertainment District, property records show. BB&T Bank is the lender on the $62.7 million loan for the property at 1502 Northeast Miami Place. The project, planned to have 437 apartments and 7,000 square feet of ground floor commercial space, broke ground in March, Carlos Melo previously said. Miami Plaza will be completed next year, and pre-leasing will begin a few months ahead of opening, a spokesperson said. Rents will be similar to Melo’s nearby projects, Square Station and Art Plaza. At Art Plaza, rents start will start this summer at $1,600 a month. 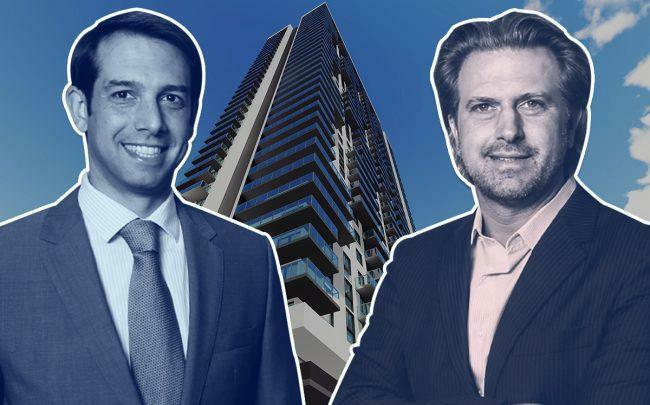 Carlos and Martin Melo, principals of the company, said in a statement that Miami Plaza launches the last phase of the firm’s five-year plan to build more than 2,300 rentals in the A&E District. Square Station, at 1424 Northeast Miami Place, was completed last year with 710 rentals and is fully leased. Art Plaza, at 58 Northeast 14th Street, is expected to open in July with 667 apartments, and Downtown 5th, a 1,042-unit high-rise at 501 North Miami Avenue, could break ground next year.